This sign is for Cirio Cappiello. The sign’s colors are blue, white, green, orange, and tan. The text on the sign reads: Cirio. 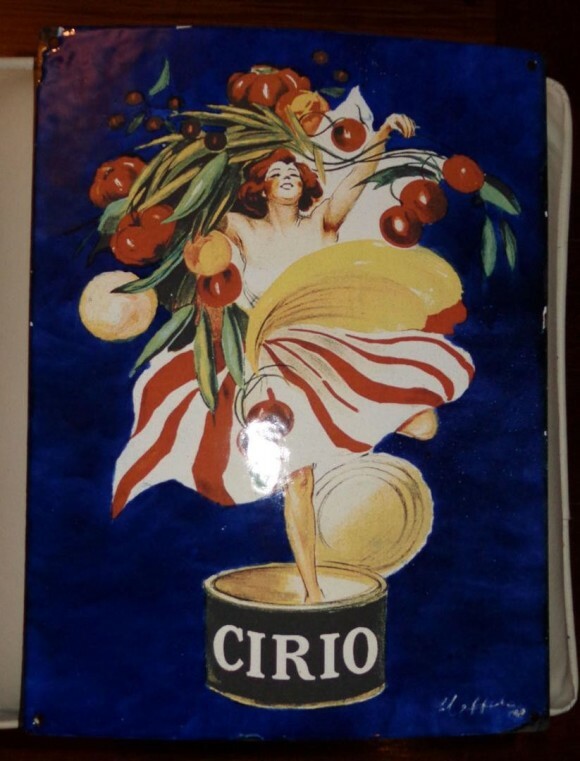 The sign shows a woman in the center dancing with fruits on top of a can.